what's cooking in my tuscan kitchen: Pizzoccheri! Today I made pizzocheri for lunch! I have been wanting to make them all winter. 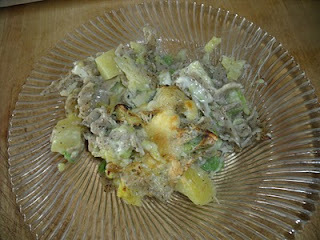 Last week-end I visited my friend Daniela in Pesaro and she made them for dinner one night. They were so delicious that I decided to buy the ingredients as soon as I got home on Monday! The recipe that Daniela made and mine also are a variation of the original recipe which is much richer! 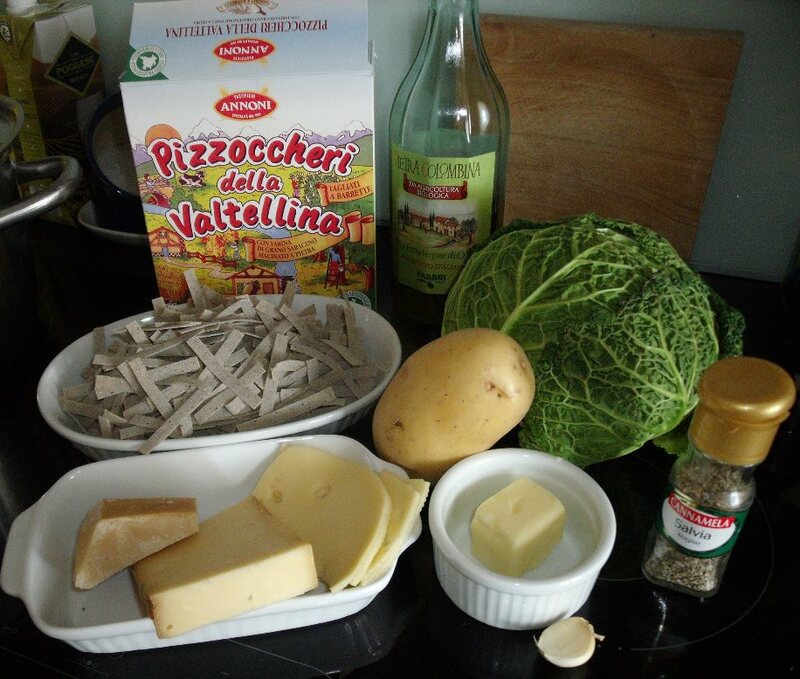 This is a recipe from the Valtellina in Lombardia, bordering on Switzerland. 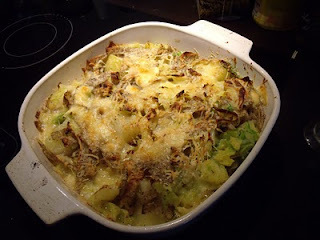 Even though I have eliminated a lot of fat from the recipe (by using less cheese and butter), this is still a hearty meal, great for a cold wintry day! It is a great vegetarian dish - sorry vegans you just can't make this without "real" dairy cheese! 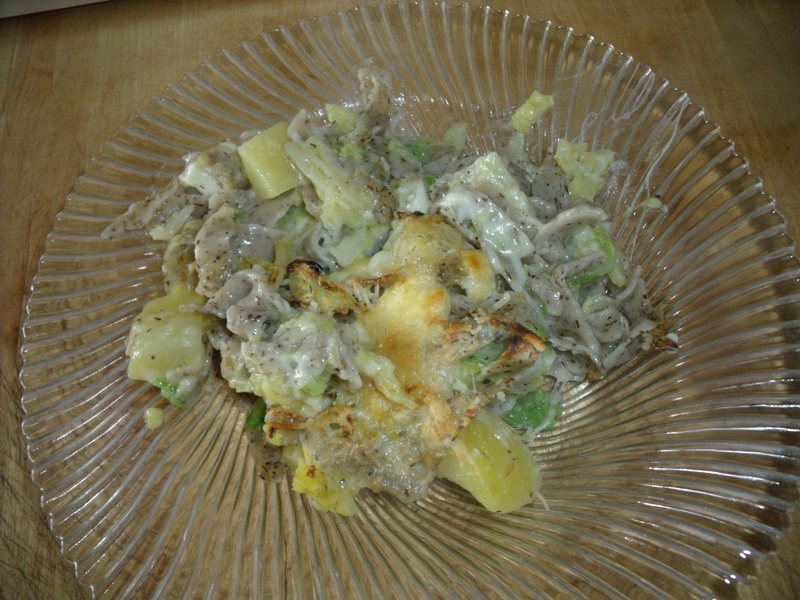 The recipe calls for pizzoccheri, a ribbon noodle made with buckwheat flour and water. If you cannot find them at your local Italian specialty shop you can make them using about 2 oz of all purpose flour, 2 oz of buckwheat flour, just enough water to make a stiff dough. Either roll the dough out with a rolling pin into a very thin sheet and cut in to short ribbon noodles. Or use a pasta machine to make wide noodles, then cut them into 5" lengths. You can also substitute whole wheat pasta. You will also need a large ovenproof casserole dish. 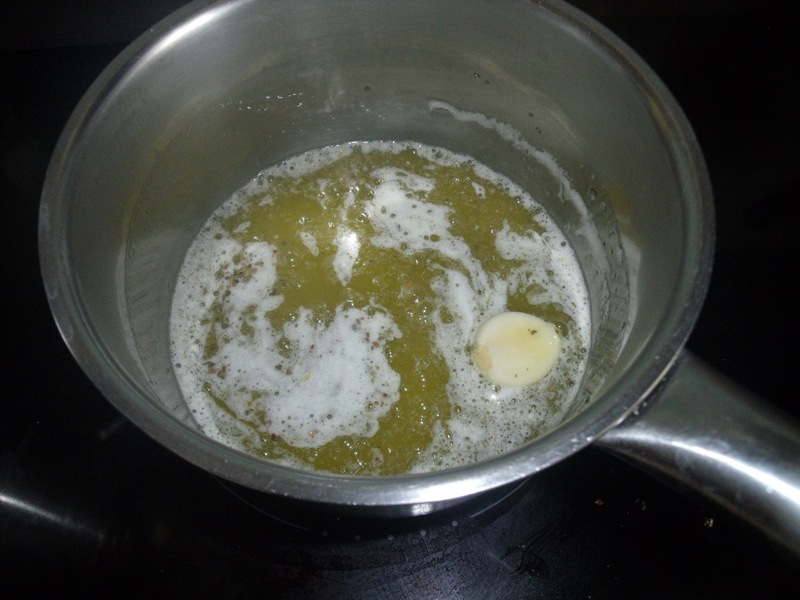 Put the butter, oil, whole garlic clove and sage into a small saucepan and heat until the butter is melted. 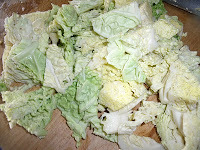 Wash the cabbage and cut into small chunks. 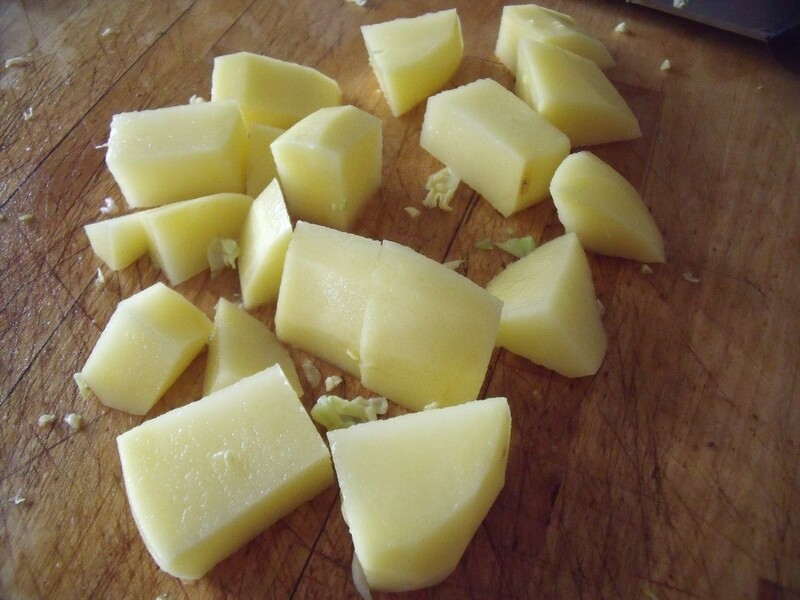 Peel the potato and cut into a 1/2" dice. 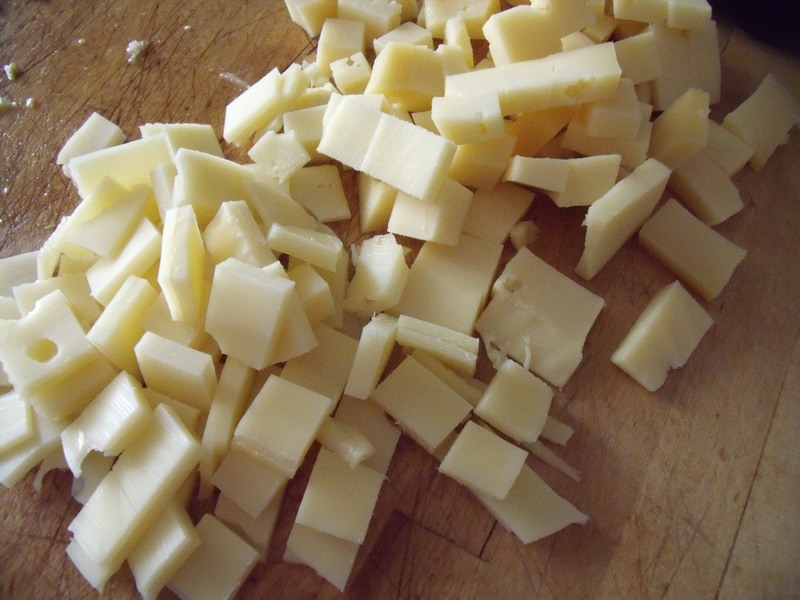 Cut the Fontina and Swiss into small dice. Grate the Parmesan. When the water comes to a boil, add salt then the pasta, potato and cabbage. It should cook about 12 minutes, or until the potatoes are cooked. 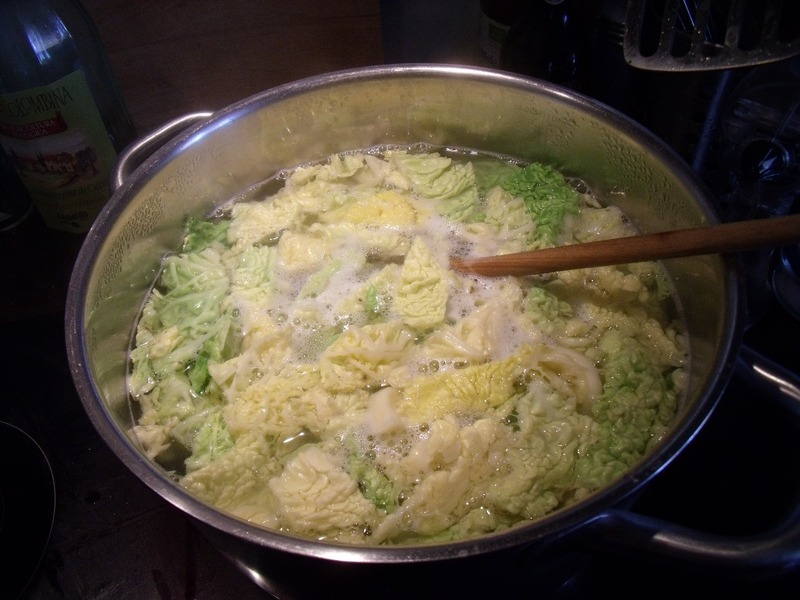 If you are using the freshly made pasta, cook the potatoes for about 5 min, then add the cabbage and cook for 5 more min and finally add the pasta and cook for for another 5 min. If you are using whole wheat pasta, proceed based on the instructions on the box - if the cooking time is less than 12 - 15 min, parboil the vegetables separately and then add pasta and finish cooking. When the potatoes are cooked, you can drain the pasta, cabbage and potatoes and proceed as follows: Layer the cooked pasta and vegetables in the casserole dish, sprinkling each layer with the butter/oil mix, and the cheeses. I usually do three layers of pasta, ending with the butter/oil and cheese. 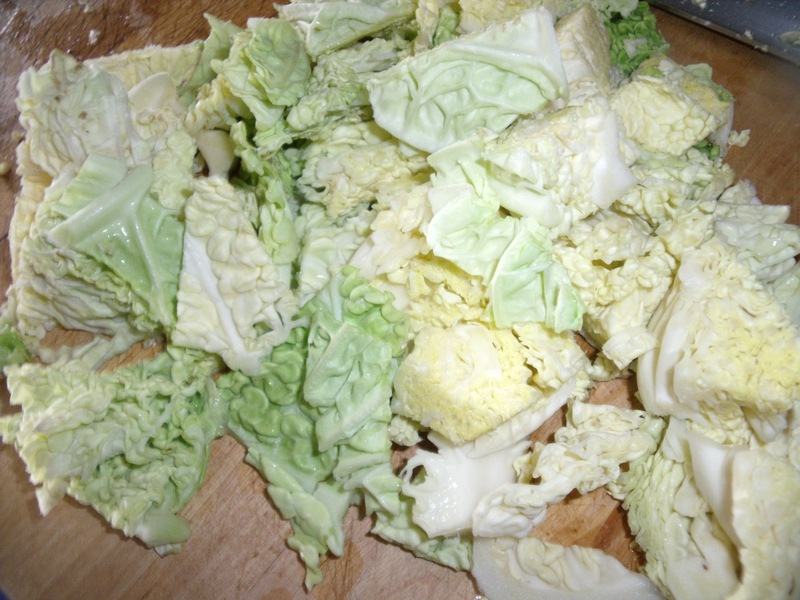 Put the casserole in the oven, and broil for 5 to 10 minutes or until the top is golden and crunchy. When it comes out of the oven, it should look somewhat like this! And.. as Julia Child would have said, had she spoken Italian... BUON APPETITO!! e chi altro se non lui?? ?